New England winters can be harsh, and there is nothing better than a roaring wood fire for relaxing and beating the cold. However, the threat of pests making themselves at home – in your home – is highly likely, depending on where you’ve stored your firewood. Many pests are attracted to firewood. The most significant threats are wood destroying insects and rodents. These pests such as carpenter ants, termites, and mice can cause severe damage to your home. By following these suggestions, you can stay cozy and warm by your wood burning fire without the worry of unwanted invaders. Got Pests? Call a knowledgeable licensed professional at 1-800-323-PEST or contact us to request a FREE Quote, ask us a question or Schedule a Service! So where should you store your firewood? Outside. Although running outside in freezing temperatures to get firewood isn’t ideal. Neither would a sudden outbreak of carpenter ants chewing around your fireplace, or a mouse making a nest for its babies in the depths of the two cords of wood you have neatly stacked in your basement. Once these pests establish themselves in your home, it can be quite a process to eliminate the infestation. 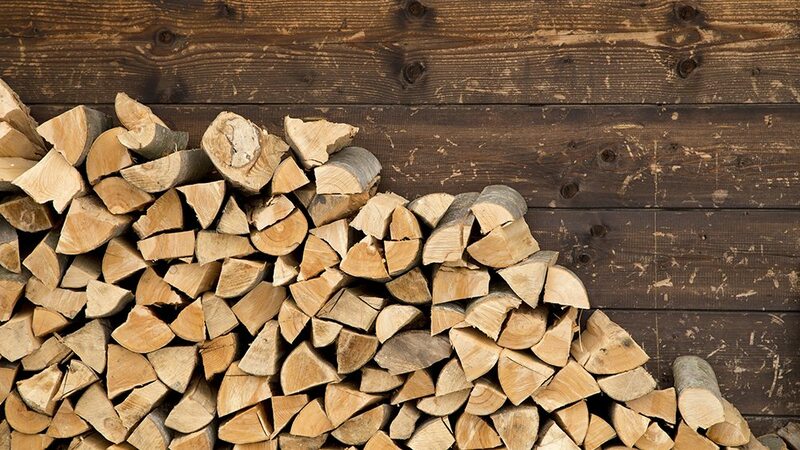 Avoid stacking firewood against your home exterior walls. If the firewood touches your home, it’s easy for the pests to move from the stack right into the warmth of your home. Cover the firewood to help keep it dry. It’s important to make sure your firewood stays dry, both so that it burns good and to deter pests from seeking harborage. Especially since moist rotting wood is a favorite location for carpenter ants to nest. Elevate the firewood, so the bottom logs do not get saturated by grass or soil. As mentioned earlier, moist, rotting wood is very attractive to some wood destroying insects, such as carpenter ants. 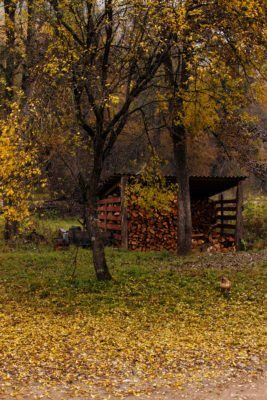 Using pallets to keep your wood off the ground, will help with air flow around your entire wood stack and help prevent your wood becoming too damp or rotten. Only bring enough wood into your home for immediate use. If any pests are harboring in your firewood, leaving the logs inside your home before burning could give them a chance to leave the logs and find a warm spot inside your home. Prevention is the key to keeping your home pest free. Once pests have entered your home, it’s difficult to know how much damage has been done without a lot of investigation. Carpenter ants and termites can cause severe structural damage; mice can cause house fires by chewing wires. If you do find yourself with any pest concerns, call a professional. Do not spray your firewood with any type of pesticide. This could be dangerous when you put those logs in the fire. If you find yourself waging war against pests in your home, Modern Pest Services can help. Our seasonal treatments are designed to target New England’s unique pest concerns as they change with the seasons. While our highly trained team of professionals have the skills, equipment, and knowledge it takes to tackle any pest issue – guaranteed! Contact Modern Pest Services today. One of our representatives can tell you how Modern’s HomeCare Green program can provide year-round protection against 60 common household pests including carpenter ants and mice. Call 1-800-323-PEST.